Ariana Grande brought out a raft of guests during her headline Coachella spot. The singer promised something special, and she definitely delivered during a set fans have already dubbed Arichella. *NSYNC teased a potential collaboration on their socials, before coming out to join Ariana Grande on a version of their hit 'Tearin' Up My Heart'. Ariana told the crowd: "I’ve been rehearsing my entire motherfucking life for this moment. Coachella, NSYNC!" Later, P Diddy and Mase joined Ariana Grande to blast through the classic Notorious B.I.G. single 'Mo Money Mo Problems'. The final cameo came from Nicki Minaj, but sadly it didn't quite go to plan. Sound issues marred the performance of 'Bang Bang' and 'Side To Side' with Ariana at one point telling the crowd: "We can’t hear anything." 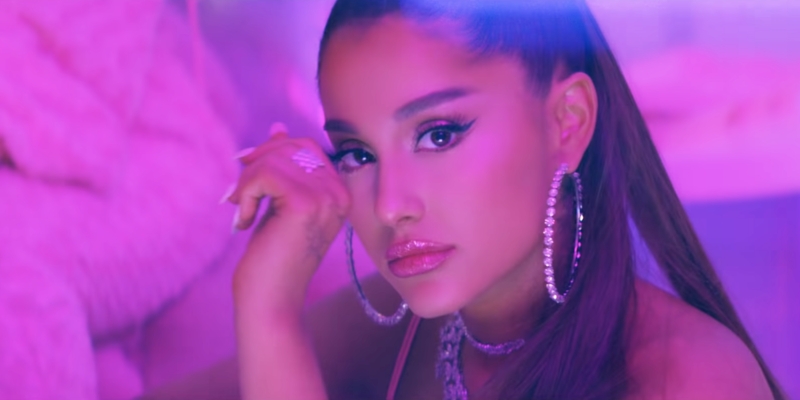 Ariana Grande will also headline next weekend's second leg of Coachella.